Simparica - the tasty flea, tick, mange and mite monthly chew for dogs that works fast and lasts. 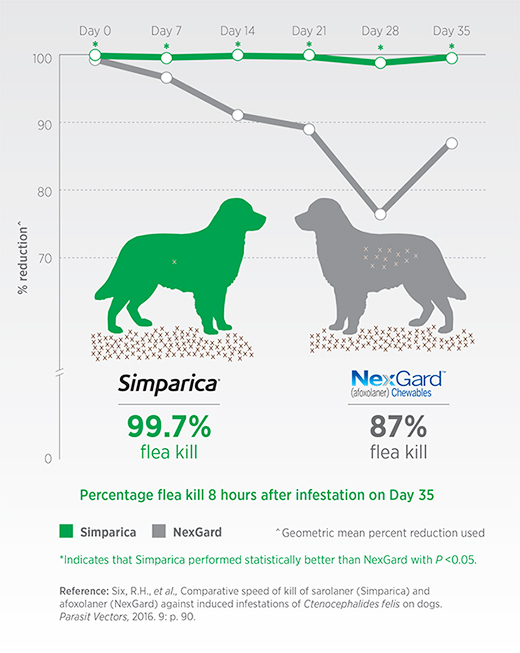 Whether your dog is big or small, Simparica will protect them against harmful fleas, tick, mange and mites. Simparica has proven protection for 35 days so if you’re a few days late, your dog is still covered. Simparica is available in 3 packs (3-month supply) and 6 packs (6-month supply). Click here to view the Simparica product range. 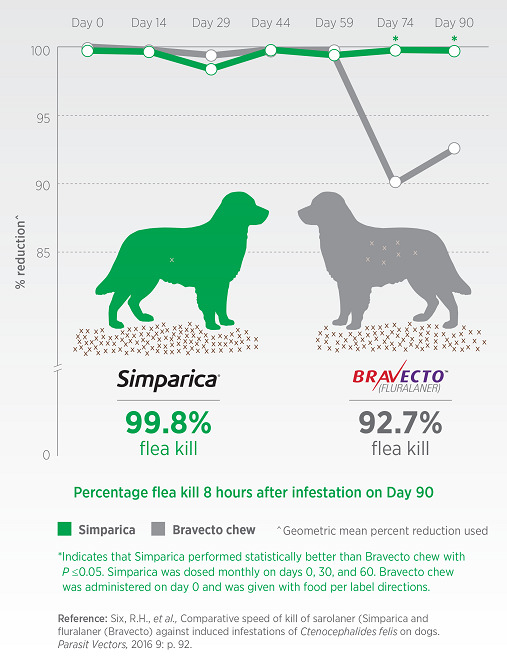 Simparica kills fleas faster than NexGard® and fleas faster than Bravecto® Chew at the end of its treatment period. 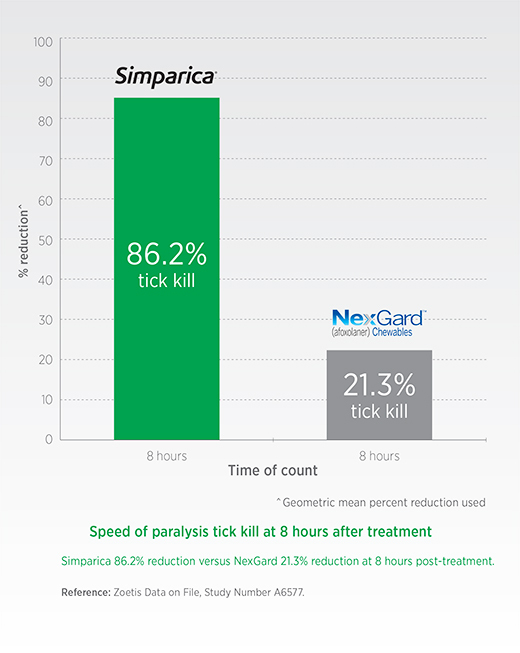 Click here to learn more about how Simparica kills fleas and ticks fast. Copyright © 2016 Zoetis inc. All rights reserved. This information is intended only for residents of Australia.